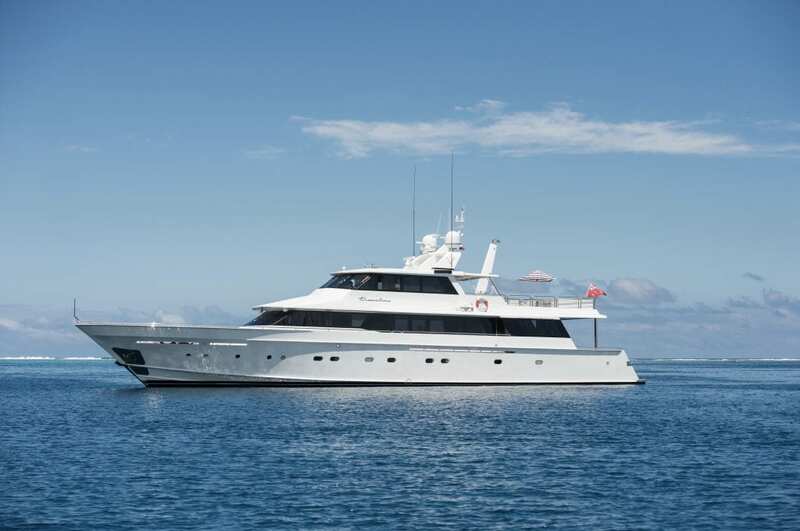 The 113.19ft /34.50m motor yacht DREAMTIME, was custom built in 1986 by Lloyds Ships and last refit in 2015. This luxury vessel’s sophisticated exterior design and engineering are the work of Jack Hargrave and her luxurious interior is designed by Glade Johnson. DREAMTIME’s interior layout sleeps up to 8 guests in 4 cabins, including a master suite. She is also capable of carrying up to 6 crew onboard to ensure a relaxed luxury yacht experience. Timeless styling, beautiful furnishings and sumptuous seating feature throughout to create an elegant and comfortable atmosphere. Impressive leisure and entertainment facilities make her the ideal charter yacht for socialising and entertaining with family and friends. 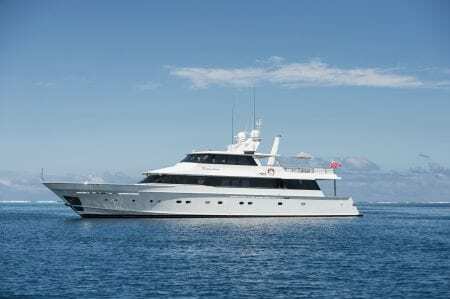 She is built with an aluminium hull and superstructure and has a cruising speed of 12 knots, a maximum speed of 22 knots and a range of 1,500nm. DREAMTIME is the perfect combination of performance and luxury.